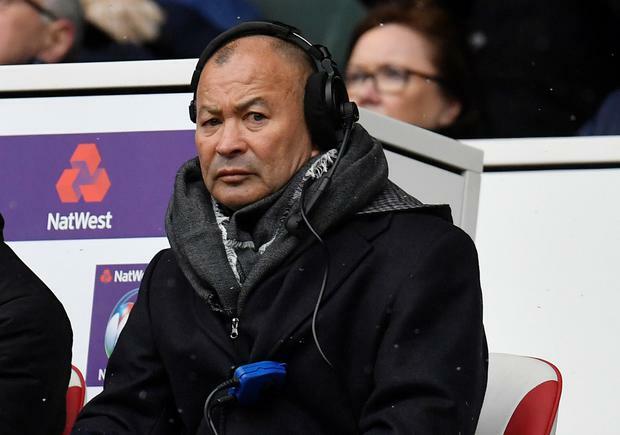 England’s 24-15 defeat to Ireland, their third championship loss in a row, prompted Eddie Jones to warn his squad that some of them may not make it to the 2019 World Cup. It is England’s worst run since 2006. France’s losing bonus point in their 14-13 loss to Wales in Cardiff consigned England to a fifth-place finish in the 2018 NatWest Six Nations Championship, their lowest position since 1983. Jones acknowledged Ireland’s achievement in securing only the third Grand Slam in their history, but was at pains to point out that England’s fall from grace was misleading in that he had never believed his team were as good as their record (23 wins in 24 Tests prior to this losing sequence) had suggested. Jeers rang around Twickenham at the final whistle. England have a three-Test tour in South Africa and it is clear there will be changes. “Some (players) may struggle to participate in the future,” said Jones, who experienced his first ever defeat at Twickenham as England coach. “There are some guys who are starting their international careers and they need time. I have to decide whether I have time to get them ready for the World Cup. “We weren’t happy being the team we were because we knew whatever we had won (in terms of previous results) we weren’t good enough to get to where we wanted to get. We knew we had to change and sometimes that hurts. It’s not nice but it is part of the process of being a better team. England were always ‘chasing tails’, as Jones put it, after Garry Ringrose scored the first of Ireland’s three tries in the sixth minute. Wing Jacob Stockdale touched down on the stroke of half-time for his seventh try in the tournament, a Six Nations record. The 21-year-old got his hand to the ball with only inches to spare. England had (legally) extended the in-goal area for this match. Jones did not feel that this had backfired on England.